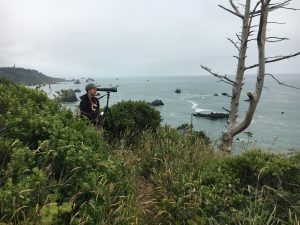 I have diverse interests in the field of ecology spanning from ornithology, behavioral ecology, leading expeditions at remote field sites, to document emerging populations of seals and sea lions. Curiosity for the natural world is the impetus which motivates me to seek out answers to patterns observed in nature. 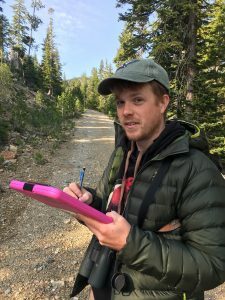 In Fall 2018, I joined the Vertebrate Ecology Lab under the guidance of Dr. Gitte McDonald. My thesis is focused on individual variation in emperor penguin diving behavior. I obtained BAs in Environmental Science and Sociology in 2013 from the University of California Santa Cruz. Both majors were essential in sculpting my unique perspective in integrating human and ecological aspects to produce effective policy measures, and reduce human impacts on the environment. Following my undergraduate career, I started working as a biological field technician where I gained hands on field experience working on many demographic studies with an array of marine and terrestrial vertebrates including Northern spotted owls, Northern elephant seals, Steller sea lions and Northern fur seals. These experiences allowed me to live and work in many remote locations including the Pribilof Islands in the Bering Sea, Maui, the Channel Islands, Año Nuevo, King Range National Conservation Area, Point Reyes National Seashore, Olympic National Park. Along the way I had the privilege of leading many field teams at a variety of agency and non-profit institutions. I look forward to developing and contributing to scientific discovery and conservation efforts.